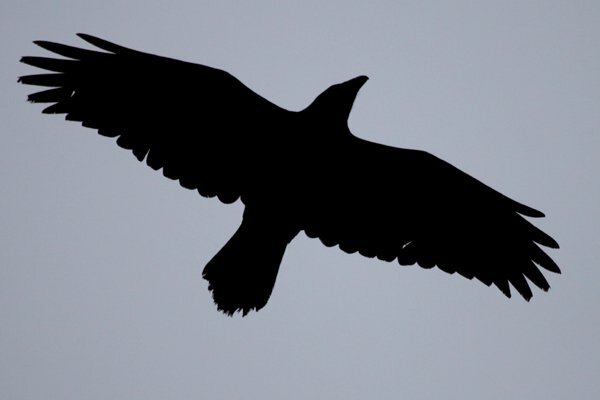 Knowledgeable nature lovers might be wondering why everyone in the Western world seems to be talking about the corvids we’ve always known were the coolest around. But when the Baltimore Ravens are set to play in Super Bowl XLVII, suddenly everyone loves ravens. Well, around here, we’ve always been keen on Corvus corax and his kin, so we invited like-minded (small “r”) ravens fans to explore the many ways of looking at this black bird. Enjoy our special RAVEN edition of I and the Bird. And come back later in the week when I predict with almost uncanny certitude the likelihood of the Baltimore Ravens winning Super Bowl XLVII!